Fabulous 1st-floor condo in prime location of the Cedar Pointe complex! Condo offers 2 bedrooms and 1 bathroom, in-unit stackable washer/dryer, open floor plan, and attached garage that opens to Glendale Park. Living Room has rare wood-burning fireplace, and Kitchen features quartz countertops with decorative glass-tile backsplash, bright white appliances, and soft-close cabinets and drawers. All new interior paint and carpet, and gorgeous updates throughout! 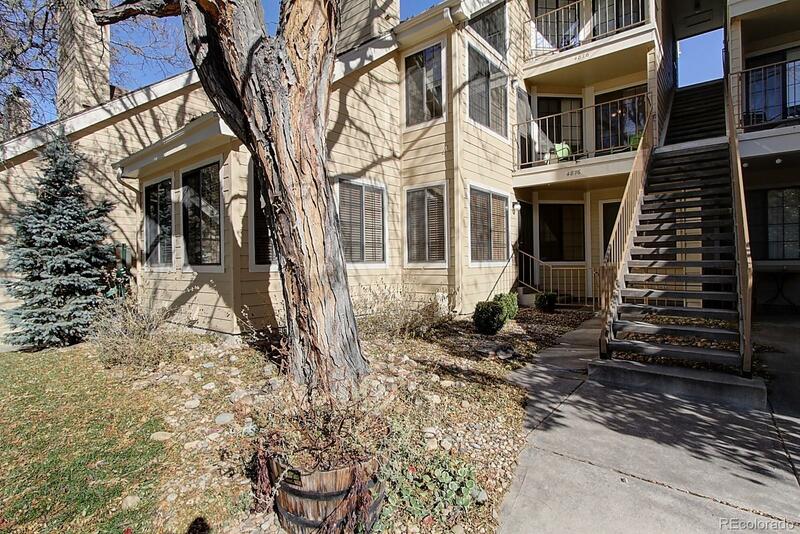 Unbeatable location in Central Metro Denver, between Downtown, DIA, and DTC. Call now to schedule your personal showing! Association Name Secondary: Westwind Management Group, Inc.